Why does Rosie us Glucosaflex 12000 joint supplement? 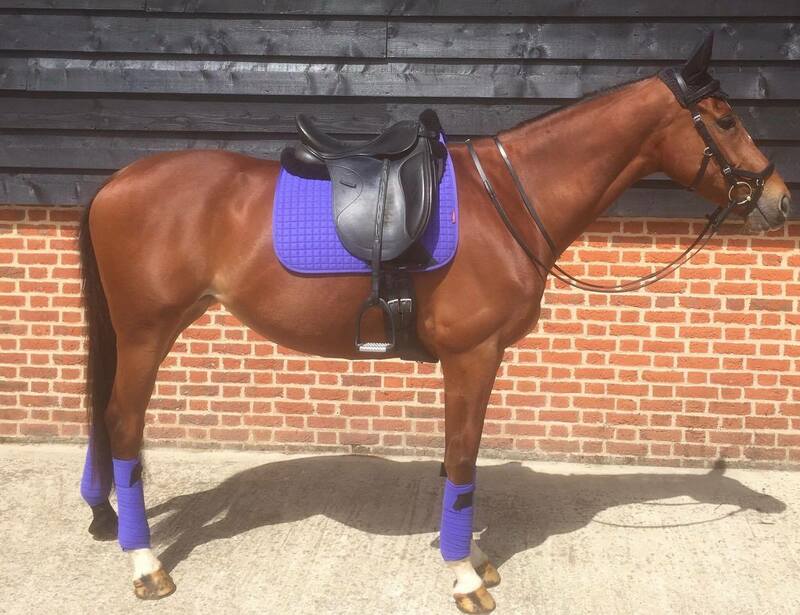 Rosie got in touch with us through Facebook and told us all about Foxy Dancer, an ex-racehorse in need of a joint supplement. Here’s Rosie’s story and her experience with our Glucosaflex 12000. I have been using Equimins Glucosaflex 12000 on Foxy for just under a month and I am really impressed with the results! I was looking for a new joint supplement after the one I was using started getting too expensive and difficult to get hold of. 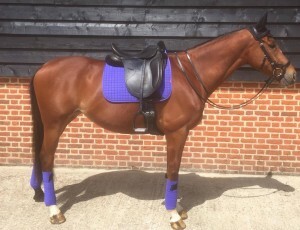 I like to keep Foxy on a joint supplement as she was a racehorse in training from a young age and although she hasn’t had any injuries as yet (touch wood), I wanted to give her a supplement to maintain and support her retraining as a dressage horse. The product itself is really easy to get hold of and is good value for money. The best part is that delivery is free on orders over £25, so you can stock up and save money at the same time, perfect for unorganised people like myself! The pot is relatively small making it easy to store and is easily dispensed into feed. Foxy is a fussy eater at times and she hasn’t turned her nose up at it once. Foxy is doing really well on it. Her paces seem freer and more elevated and her coat looks amazing. I feel confident that I am feeding a great joint supplement that has high levels of Glucosamine Hcl and MSM and all at an excellent price. A big thank you to Rosie for getting in touch with us. 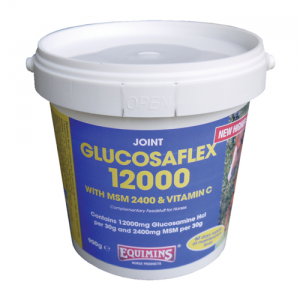 Glucosaflex 12000 is a high specification, high quality joint supplement that contains 12000mg of glucosamine and 2400mg of MSM per 30g serving. It helps to provide nutritional support to cartilage and tendons, to maintain healthy joints. Due to its high specification, feeding rates are modest. 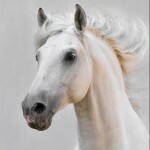 Most horses receive 30g for the first 10 days, and then 15g per day afterwards. At ‘maintenance’ level, a 900g tub of Glucosaflex 12000 joint supplement will last for 60 days!